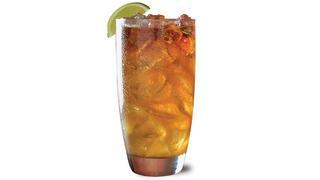 As a trademarked cocktail, a true Dark 'n' Stormy can only be made with Gosling's Black Seal rum, so make sure you have some on board for a truly authentic taste. 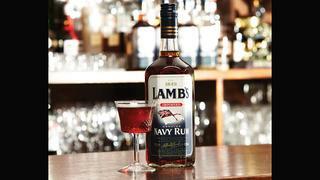 This cocktail, inspired by the sailors who traditionally drank rum on board, takes Lamb's classic Navy Rum as its base. Created by the team at Oil Nut Bay, one of the British Virgin Island's most exclusive resorts accessible only by boat or helicopter, this tropical concoction brings together all the exotic flavours of the Caribbean. 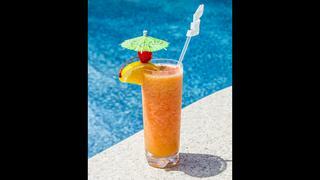 Ingredients 1 shot Cruzan Gold rum 1 shot mango juice 1 shot orange juice 1 shot crème de cacao Splash of Grenadine Grated nutmeg Method Blend all ingredients with ice until frothy Pour into a tall glass and garnish with a light dusting of grated nutmeg Garnish with a citrus wedge and a cherry Support Oil Nut Bay's North Sound Foundation to help the rebuild effort in the wake of Hurricanes Irma and Maria here. Created by the team at Oil Nut Bay, one of the British Virgin Island's most exclusive resorts accessible only by boat or helicopter, this tropical concoction brings together all the exotic flavours of the Caribbean. Support Oil Nut Bay's North Sound Foundation to help the rebuild effort in the wake of Hurricanes Irma and Maria here. 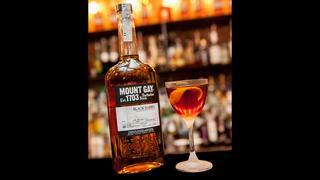 Synonymous with laid back Barbadian life, Mount Gay's Liar Liar cocktail is a must for any luxury yacht cruise in the Caribbean. 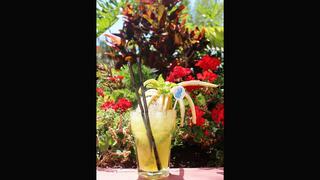 The speciality of the Cubanika Bar at the The Ritz-Carlton, Abama - which boasts one of the world's most extensive mojito menus - the Canarian Mojito offers a fruity twist on this much-loved cocktail. 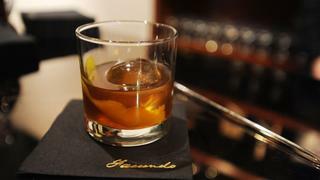 Perhaps one of the best known rum cocktails of all time, an Old Fashioned is for the true rum connoisseur who likes to taste the spirit in their drink. Made with Eximo, a sipping rum from Facundo using the Bacardi family private reserve, this is for the true cocktail hour sophisticate.